What is the best internet marketing course, is an important question and one that should be asked before undertaking any online marketing program. All too often we are taken in by the promise of instant wealth and easy riches by online scammers. Many times the information is out of date and over priced and sold as the easy solution to a difficult problem. While there are many people wanting to know how to make money online and thousands more going online each day seeking to make fortunes as internet marketers. In truth around 93% of people engaged in internet marketing actually, make less than $103 a month. So making a full-time income will take some time without first having an understanding of search engine optimization and learning how to build a website that not only gets traffic but converts that traffic into customers. Getting traffic is important because maybe only 1 out of 100 – 200 visitors will want what you are promoting. Today, getting traffic is not about attracting people to your site to sell them. Rather, it’s about people being attracting to your site because of the quality content you have on offer. That is to say, the information you have is of interest to them, then building a relationship, establishing trust and then offering a value for money solution to a problem the reader may have. Unlike conventional retail sales where a customer comes into your shop with commercial intent. That is they are looking for something that you may have with the intent of purchasing (usually). Internet selling is different regarding the visitor is usually searching for information, (usually for free) and is not necessarily looking to purchase anything. 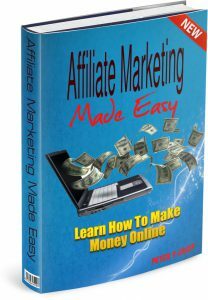 To learn more abut internet marketing You could start by getting a copy of my book “Affiliate Marketing Made Easy” available for free at the bottom of this page. Once you understand that concept and realize that internet marketing is not some get-rich-quick scheme. That throwing up a couple of affiliate links or banners, expecting to make easy money for little work, as is often promoted by scammers, all over the internet is not the reality. Realizing this makes it easier for you to actually earn money online. To be successful with online marketing, there are things you will absolutely need to learn. But the trick is what, where and when and of course the how. Many people try to nut it out themselves; others fall for the false promises of making millions overnight with a push button software program promoted by some Internet “Guru“, and many others get burned by the endless other “shiny objects” being offered everyday online as the ‘answer’ to making money online. Without knowing the basics of the internet marketing business, you will constantly be taken in by the next ‘great thing’ being promoted on the internet. You will fall victim to next internet scammers offer of the show how to make easy money online. When really it all comes down to getting an education so that you know what you need to do to build your own online income and not give your money away to someone else promising you instant success. Before getting my ‘education’, I wasted my time and money trying to short cut the success process. After many years of trying to work it out myself, being scammed and building a dozen websites that failed to make any money. I finally found the best internet marketing course online. My only regret was not finding it earlier because they have been around since 2007. Now I know how to build websites that get traffic, create pages and posts that rank in Google and brings in sales. These things were all possible because of what I have learned at Wealthy Affiliate. This is an excellent place to get an education and you can do it at your own pace and from your own place. You not only get the education that you need to be a successful long term, online marketer. This is a straight, honest and down-to-earth program. Created by online marketers for those wanting to become online marketers and it won’t cost you a fortune or have you continuously buying ‘upgrades’ and ‘extras’ – like so many other programs. Best of all you can begin for free, No credit card details required. 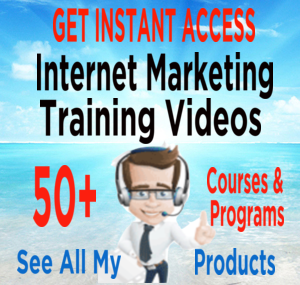 Need Proof that this is the Best Internet Marketing Course? Take a look at the screenshot below. 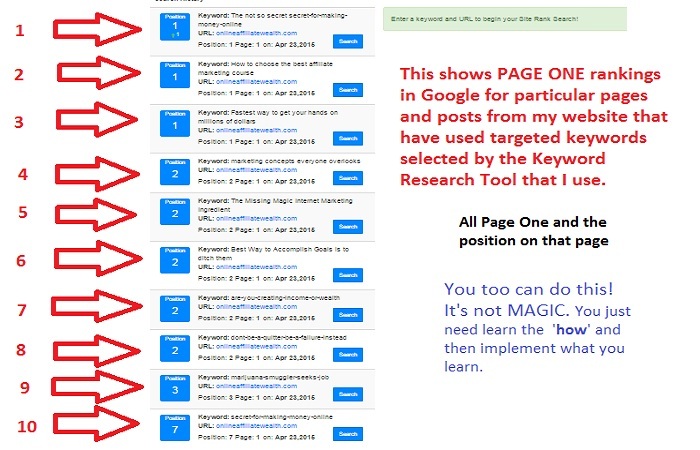 This is for the website you are currently on and after using the information I have learned from Wealthy Affiliate I was able to get many of my pages and posts on page one of Google. How excited would you be if you could get just one page or post of your website on page one of Google, would that make a different to your business? After all SEO and Google rankings are important – Right? These are the sorts of things that you will learn how to do with the right education and tools from Wealthy Affiliate. “You may be interested in finding out about having everything completely done-for-you. A system that is a complete sales funnel, with products you can call your own, free reports and sign up incentives fully set up and ready to go, that will build you a list of subscribers in a very short period of time”. This hopefully has answered the question; What is the best internet marketing course? I shared your article on G+, twitter and FB. I particularly like where you provided links to tips, advice and recommendations to useful tools and resources. That is helpful for people who are struggling with internet marketing. One thing that really stands out in all the internet marketing courses I have seen promoted on the internet is the cost. I am really skeptical that beginners need to pay for some really high priced courses. I could justify paying high prices for advanced training that includes one-on-one training with an expert. But beginners need basic training and that should never cost a lot. 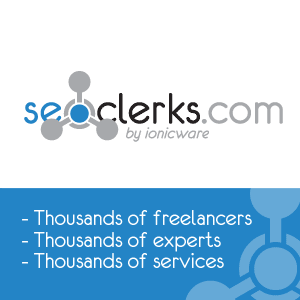 You have a great site packed with useful information to help people become successful online. Once I started reading then I wanted to know more. Yes there are a lot of pitfalls out there and I’ve seen a few! Wealthy Affiliate is for sure the way to go to ensure success in the long term. I definitely agree that Wealthy Affiliate has the best marketing course in the affiliate marketing world. And it’s definitely not a “get rich quick scheme”. I have been working on my sites for about 4-5 months now and have generated very little income so far, but that will improve once Google trusts my sites more. Simple yet effective site. Very helpful for us who are looking at Affiliate Marketing. Also, it is easy to navigate around and very interesting to read. I think it is a very tidy site, by that I mean it has a clean, fresh look to it. Thank you for this article, Peter. It is very comprehensive and covers a lot of ground. My favorite part was “The Greatest Weapon” and I don’t think I’ve seen the emotional appeal and psychological triggers aspect of this covered so thoroughly. You have provided great examples and pictures to solidify your points. Finally, I agree with your recommendation of Wealthy Affiliate as it is an educational and supportive environment for starting an online business. There are many internet marketing courses online that are great. Some are very specialized in the way that they get traffic. Some only focus on list building while others are using Facebook ads. It really depends on what you want to do. If you would like to build niche websites with white hat SEO, then Wealthy Affiliate is the course for you. There are so many different available methods of making money online now a days, but not all of them are worthy of mention. Especially the ones with extremely low pay outs that some get stuck on and repeat tedious and long hours. Then there is the scams that just take your money. It is good to be able to find the real deal. Wealthy affiliate is a great tool in learning the ropes for real online marketing. No get rich quick scams or repetitive low pay out jobs. It’s a Real make your own business while doing what you love job. And it takes real dedication to it! Great post! You have uncovered a bunch of usefull tips I can implement in my business right away thank you for that. I learned a lot from reading your article. Thanks Peter! I am sad to say that I’m in with the 93% of people who dabble in internet marketing and make less than 103 bucks a month. I have been giving it a try for 5 years now in my free time. But I really want to make it work. I’m taking in all your advice, I have never gotten page one or two ranks before. But I hope with your help I can get their too. 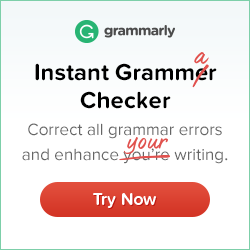 One of the Best Content Found written about internet marketing and not about get rich quick, Which forced me read your complete Post. Thanks For the share. I Wanted to ask What if I have just 5 page Website Can that be Ranked in google without adding further Blogs etc. Thank you for the information. I found it very helpful and make me feel somehow comfortable because I find WA as the first internet enterpeneur university before the other ‘getting-rich-quick’ univeristy/scam. Business is about persistence, patience, and desire to make it success. I learn a lot from WA, and the community is very helpful and encouraging. I truly recommend this community for everyone here to learn the true success of internet marketing and entrepeneur. I love your search results! Nice work and keep it rocken man. I agree that WA is the best place on the net to get the training and support you need to be successful, very good recomendation. I am really impressed by you being a teacher and I respect your work! How long have you been a member at WA? lm new to online marketing,was looking for more internet courses ti improve my knowledge when i found your site. just like you say on your site,im among the 93% who make less than 100 per month but l hope that will improve in time and with more work. im not looking for a get rich quick and ready to put in the work required to succeed online. Thanks for tips which are so easy to understand and put to use,will get back to you some time in the future and let you know how it goes on. 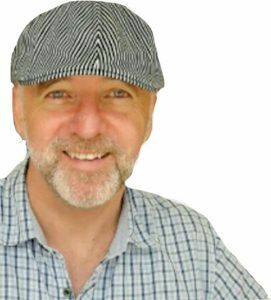 Great post Peter and as a member of Wealthy Affiliate myself I have to say the education provided is top class! 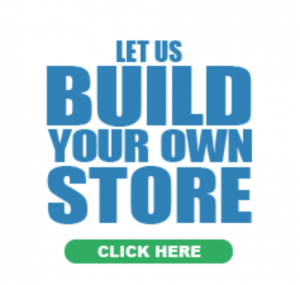 For anyone starting out and looking to build a website or create a business online where they literally build it on something they’re passionate then Wealthy Affiliate is the place to start. Like the traditional off-line business there’s a learning curve when working online, it’s all about the fundamentals and they’re all taught a Wealthy Affiliate in an honest and ethical manner, playing by google’s rules unlike a lot of other products out there that promise to make people millions overnight! Great video at the end as well! Hello Peter, Thank you for this great article, very detailed and well explained. But I have a question, you said that 93% of people engaged in internet marketing make less than $103 a month.Where can we find this information ? It is somehow a warning that we should make sure, we are on the right way. Hello Charlotte Yes 93% seems a very high number and was taken from some online research. However another researcher found that the biggest group 40% earn less than $5,000 pa, 12% more than $5,000 but less than $10,000, 13% more than $10,000 but less than $25,000 and 6% more than $25,000 but less than $50,000. So assuming that $50,000 is a full time income you can see that 70% earn less than that. This is why getting an education from Wealthy Affiliate is very important if you want make more than a full time income. What’s important is that almost 65% of affiliates make less than $25,000 per year and over 10% make more than $100,000 per year. Although most affiliates surveyed had only been doing affiliate marketing for less than 3 years, the potential to make a sizeable amount of income is very possible with hard work and persistence. The actual numbers $0 – $5,000: 39.2%, $5,001 – $10,000: 11.8%, $10,001 – $24,999: 13.1%, $25,000 – $49,999: 5.9%, $50,000 – $99,999: 9.2%, $100,000 – $199,999: 2.0%, $200,000 – $299,999: 2.0%, $300,000 – $399,999: 2.0%, $400,000 – $499,999: 2.0%, $500,000+: 3.3%. What a fantastic topic you’ve got here. It contains the information I wanted to search for. Truthfully, I’ve spent literally hundreds of dollars just trying to make some money on the internet and came up short. I’ve even been scammed a couple of times and had to get my money back at full. One didn’t give me back all of my money so I reported their product to the corporate owners of the affiliate program and still waiting to hear from them. The program you’ve highlighted, Wealthy Affiliate, is one of the best programs out there and I’m honored to be a part of an outstanding community. I hope many of the people reading this will join us and begin their new journey with us. Thanks much for this thorough article…You have covered the subject i a manner that is easy to read and understand! I am one of those that got led astray prior to finding Wealthy Affiliate, and I can personally attest as to the veracity of this educational and hands on program. The other programs I tried first were (1) more expensive, (2) less encompassing, and (3) out of date in many cases…The information they “taught” was set up years ago and not updated! In many cases, as I now know, they were actually teaching things that would get you penalized in today’s search engine world! Not to mention, their main focus was to sell you a package where you supposedly could sell on to others easily (you know how competitive it is to get sign ups) their program…You had to pay to do this! So thanks for providing an accurate and NO BS article that hopefully many will see and act on…We need to get the word out far and wide so fewer people are misled! Congratulations also on having so much success on rankings, this is certainly more than enough proof for all to verify that the Wealthy Affiliate programs works, and works well! Very well done sir, i like the content, the page layout, looks friendly and clean. How long are you running this site now? Hello Peter! I am also an WA member and could say nothing but positive things, it truly is a great resource/community. I am glad WA was the first site I found and I will probably use it forever. I thoroughly enjoy all of your content, and the detail you put into it, would you happen to have any other websites. Wow Peter this is all great information. You have laid out your information in such a great way. I t seems as I was reading, my questions were getting answered. You make it sound so easy. What advice would you give some one just starting out in internet marketing? I look forward to your answer. Hey there – I’m back again!!!! Just wanted to return to thank you for the lead on the videomaker FX software – bought it along with the similar sketch Pro yesterday. Video Maker FX is an awesome program BUT I would advise people to stay away from the Sketch Pro program which is cheaper – I’m in the middle of claiming a refund for it ( it doesn’t save well! ). Videomaker FX is a brilliant choice however – even the basic version is blinding! Really enjoyed this article – but probably for the wrong reasons LOL. What caught my attention was the video about halfway down the page. I followed your link and ended up at the rather impressive looking video maker software. How fast are you able to churn out simple review videos with this software? Hello Peter! I kid you not, you have done a terrific job and i know that you will continue to grow and reach success by reading your bio. it was a privilege navigating your website and i thoroughly enjoyed all that I read and seen as far as images. By the way , your header blows my mind! I loved the video. It’s very relevant to the website. This post was full of information. In the past, I was enticed by the “get rich quick” schemes that seems to be all over the internet. I see you’re promoting Wealthy Affiliate. Does it cost anything to join or get started? I just finished reading your article on what’s the best internet marketing course, and I found it rather interesting packed full of great information, SEO is extremely important with any website & having the right education to learn all about Search Engine Optimization to help with your google rankings, what keyword tool would you recommend using I have been using google keyword tool what would you recommend. ? With internet marketing I really think times have changed for the better, as more bloggers are focusing on what’s more important which is the readers, the more following with your website, yes it’s nice to make money from your website but when you are focusing more on your viewers I think they will see that you are being honest and actually trying to help vs someone who is pushing an unwanted product. Anyways great job, I look forward to hearing from you thanks again. Hello Jenn Thank you for your comments. I am pleased you found the article interesting. To answer your question about what is the best Keyword Research tool I have a review @ http://onlineaffiliatewealth.com/what-is-the-best-keyword-tool that you will find interesting as it answers that question for you. You are also absolutely right about ‘times have changed’ and that it is now important to focus on the reader and not push unwanted products. Hello Peter. Love the site layout and beach scene. I live in Puerto Rico and get to see the real thing daily. Thoroughly enjoyed reading your posts. There is a wealth of knowledge for all to benefit. Well written also. I took the liberty of sending for your e-book as I love to read and learn new things from people in the know. Like you, I’ve spent way to much time searching for the right online opportunity only to find myself spinning and going nowhere. When I think about how gullible I’ve been to fall for easy sales talk and manipulation, it makes me sad. Sad because I didn’t have the right knowledge to run a website online nor the ongoing training. Therefore I failed!! What Wealthy Affiliate offers is rare and priceless. I count my blessings everyday for having found them when I did. You see I was researching yet another “we’ll show you how to make a fortune in 90 days” website that I later found out was not what it claimed to be. No more scams for me! As a fellow Wealthy Affiliate member I am not surprised by your success. I joined a few months back without any knowledge of online marketing or website-building. My site is new, so I have not made it to page one yet, but I have had a couple of articles that made it to page three, and I think that is amazing. I feel sorry for all those people that fell for the “guru” scams and I was lucky enough to find Wealthy Affiliate first time I was looking for an online income opportunity. And the best part was that I could try it out for free first to make sure this was something I could do and enjoy. I recommand this learning platform to anybody that are serious about building their own business.